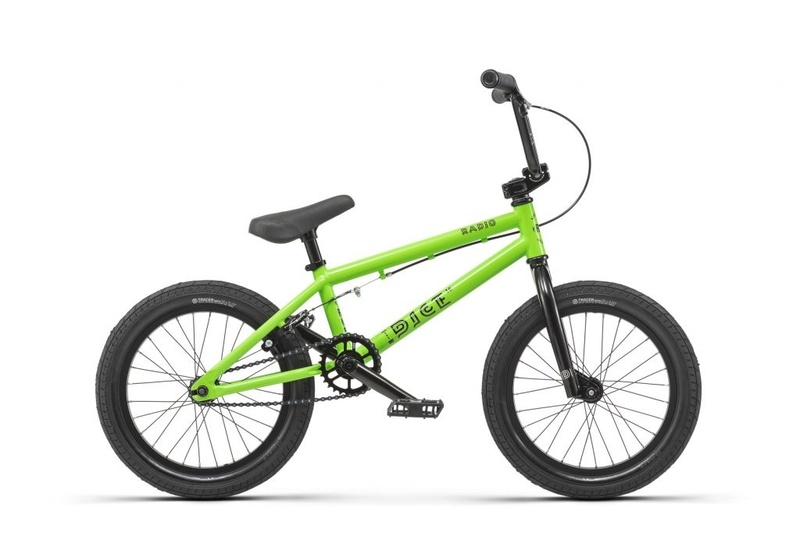 BUILT FROM THE GROUND UP TO SUIT THE PINT-SIZED RIDERS OUT THERE, WITH THE DICE 16” EVERYTHING HAS BEEN KEPT IN PROPORTION. THE WHOLE BIKE IS BUILT FOR THE ASPIRING SHREDDER, FROM FRAME GEOMETRY, ALL THE WAY THROUGH TO THE SHORTER 140MM 3PC CRANKS AND THE SALT 40MM TOPLOAD STEM. THIS SIZED-DOWN MACHINE IS FINISHED OFF WITH HIGH-QUALITY PARTS FROM SALT, MAKING IT SIMPLY UNBEATABLE FOR YOUR FIRST BMX BIKE.